Volkswagen Philippines makes two big follow-ups after its recent success at the Manila International Auto Show by participating in two motoring events both located around the SM Mall of Asia Complex this weekend. From today to Sunday, April 23, 2017, catch the number one European brand in the country at the STV Auto Focus Summer Test Drive Festival located at the SM Mall of Asia Concert Grounds along Seaside Avenue and at the TransSportShow at the SMX Convention Center. At the STV Auto Focus Summer Test Drive Festival (11AM to 9PM), Volkswagen Philippines is displaying its all-new 5-seater Tiguan compact crossover. 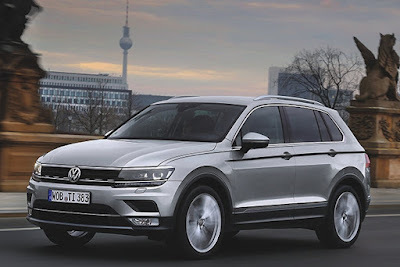 Volkswagen is also allowing the public to test drive its wide variety of vehicles from the iconic Beetle to the Polo Sedan and Hatchback to the 7-seater Touran MPV. Meanwhile at the TransSportShow (10AM to 9PM), Volkswagen Philippines will have the Beetle Club Edition on display. This special edition model features enhancements such as a touch-screen multimedia infotainment system, front and rear clearance sensors, and hyper-black alloy wheels. At both shows, Volkswagen Philippines will be offering special and enticing financing deals for buyers. There will be Volkswagen premium items for sale and visitors who bring in their families get to receive treats from Wolfi, the Volkswagen mascot.